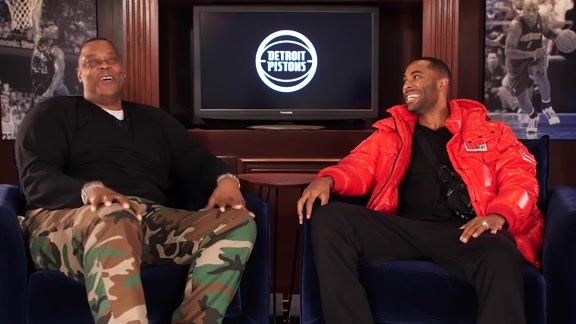 The vibe around the Pistons as players gather in advance of training camp, candidates for a breakout season and how Dwane Casey’s emphasis on 3-point attempts will translate to this season top the agenda in the latest edition of Pistons Mailbag. Davw Low (@DavwL): Can you describe the difference in the vibe around the Pistons? Any of that, “He’s one of SVG’s guys; I want my guys” chatter? Langlois: With a rather large caveat of “if the vibe isn’t good now, when would it ever be?” attached, the vibe is very good now. The Pistons have a mix that should lead to ample preseason optimism. They have the guts of their core back – led by Blake Griffin, Andre Drummond and Reggie Jackson – including all five starters but enough turnover with three veteran free agents and two rookies to provide a little reinvigoration. And, of course, they have a new coach – the reigning NBA Coach of the Year, on top of that – and coaching staff, which naturally has the effect of wiping slates clean and providing all players with the comfort of starting from ground zero. That changes pretty quickly, of course, but every player will go into camp infused with a belief that he’ll have the same shot to impress Dwane Casey as the guy to his left and right – and it doesn’t hurt that Casey has an unassailable reputation for playing people on production and not on reputation. The front office put in place this summer by Ed Stefanski hasn’t had much in the way of opportunity to put its stamp on the roster yet other than Stefanski’s drafting of Khyri Thomas and Bruce Brown not much more than a month after his hiring and the signing of Glenn Robinson III, Jose Calderon and Zaza Pachulia on the heels of the draft. If there’s any consensus in their inner circle approaching the sentiment you’ve expressed, they surely wouldn’t advertise it. But I suspect that given their resumes – Stefanski’s experience combined with the analytical bent of assistant GMs Pat Garrity, Malik Rose and Sachin Gupta – they’ll be aggressive in identifying trade targets and creative in their pursuit. Steve (Milford, Mich.): Who’s your prediction to have a breakout season? Langlois: With the qualifier that he needs to stay healthy, I think Reggie Jackson will have a big season in Dwane Casey’s offense, but I’m not sure that would qualify as a “breakout” season for a guy who by most estimations was a top-10 point guard during his only full and healthy season with the Pistons (2015-16). So I’ll split my vote between Luke Kennard and Glenn Robinson III. Kennard shot 40 percent from the 3-point line as a rookie and did it despite having a less-than-certain spot in the rotation and learning how to straddle the line between aggressiveness and prudence. The early reviews of Casey’s offense are that it stresses spacing and ball movement and that should play to Kennard’s strengths. As for Robinson, my hunch is the Pistons are getting him at the right point in his career and the right time in the evolution of the game for him to emerge as an above-average wing. His combination of size, athleticism and shooting is intriguing. Adam (St. Petersburg, Fla.): How many 3-point shots a game do you expect the Pistons to average this season? Langlois: They took 29 a game last season – actually, 28.9, which was easily a franchise record but ranked only 17th in the league – and Dwane Casey said pretty forcefully in June at his introductory press conference that that wasn’t nearly enough. If they increase their attempts by 20 percent, they’d get to 35 a game. Only two teams did so last season, Houston and Brooklyn. Casey’s Toronto team was third at 33. The Pistons finished No. 5 in 3-point accuracy last season at .373. They’ve lost Anthony Tolliver, who took 4.6 triples a game, but return Reggie Bullock and Luke Kennard and get Reggie Jackson back after he missed half the season. Adding Glenn Robinson III and Jose Calderon gives them more firepower. Blake Griffin took 5.4 a game last season an Casey has talked about getting him to shoot even more. I’d put the over/under on their 3-point attempts at 33. Chris (@C_Robbins): Can the Pistons lose Game 1 by less than the Lions lost to the Jets in Week 1? Langlois: Yeah, that was suboptimal. Only one game and all of that – and maybe it sets up Matt Patricia for a remarkable turnaround – but that had to be more than a little unnerving for the people with skin in the game. To get pummeled in the opener on national TV by a team in rebuilding mode with a rookie starter at quarterback is about as nightmarish a start as you could conjure. I’ll pass your insight on to the proper authorities. McKenzie (@McKenzie73952465): How is Jon Leuer recovering? He’s key for depth at the four and five? Langlois: You’re right. The Pistons went into last season with three true centers on the roster (Andre Drummond, Boban Marjanovic, Eric Moreland) and three power forwards (Leuer, Henry Ellenson, Anthony Tolliver) in addition to their starter at power forward, Tobias Harris, who could play either forward position. This year they’ll go to training camp with only two true centers (Drummond, Zaza Pachulia) and three power forwards (Blake Griffin, Ellenson, Leuer). All three of the power forwards can play center and small forward Stanley Johnson (and perhaps even Glenn Robinson III) can and will play power forward against teams that downsize. So the Pistons need Leuer at minimum for depth and more likely to provide minutes at both frontcourt spots. He had a surgical procedure a little more than a month ago to repair damaged cartilage in his right knee with no timetable provided for his return, though with most cleanup procedures it would be reasonable to expect a return in six to eight weeks. That timetable would either have Leuer ready for the start of training camp in two weeks or sometime before the Oct. 17 opener. There’s reasonable optimism it won’t cost him any regular-season games. Pistonboi3 (@pistonboi3): Who’s going to be better in the future for the Pistons, Khyri Thomas or Bruce Brown? Langlois: Not trying to dodge a question, but I’d be throwing a dart at this point. Brown has more elements to his game but that doesn’t always portend greater success. I remember many years ago talking to an NBA scout about a certain player and I asked if there was concern about a few glaring weaknesses in his game. His response, paraphrased, “The NBA isn’t like summer camp. You don’t have to get every box checked off. You need to do a few things better than most everyone else.” If Thomas’ smooth overall offensive game translates into efficient scoring and plus 3-point shooting, he’ll find a niche in the NBA because we know he can defend. He’ll need to become a little more assertive with his left hand to allow his offensive game to blossom, but he’s got a lot of things going for him to be a scorer and there is always room for scorers. Brown’s all-around game gives him a solid basis. If his numbers as a rebounder, playmaker and scorer all translate to the NBA then he’ll build a long career as an elite complementary player. But it’s not always the case that all of those areas translate and then his value will depend on his fit within the roster. In talking with NBA personnel guys after the draft, the strong opinion was that the Pistons did very well for themselves to get those two guys at 38 and 42. If the Pistons stay healthy, there might be limited opportunity for either player to make an impact as rookies. But it will be an important year for them even at that. With Stanley Johnson and Reggie Bullock both headed for free agency next summer, how Brown and Thomas progress could shape the decision-making process. Jacob (@jake_sall40): Obviously, we are going to see a lot of Khyri Thomas and Bruce Brown with Grand Rapids this year, but how likely is it that Brown assumes the third point guard role over Jose Calderon at some point this season? Langlois: Slim to none. If Calderon is healthy, there’s a better chance he finds his way into the rotation than that his status in the point guard pecking order is upset by Brown’s presence. The Pistons are high on Brown and Ed Stefanski wants to see if Brown can handle point guard – he liked the early signs from Summer League – so he has roster flexibility next summer when both Ish Smith and Calderon hit free agency. But Calderon is such a known quantity – and keep in mind that Dwane Casey, who surely influenced that signing, has a history with Calderon from their days in Toronto – that there is no immediate need to press the issue. If Brown gets his feet wet at point guard, it’s likely to be with the Drive. I imagine they’ll want to let him focus on the wing positions initially. Ben (@brgulker): Best-case and worst-case win projection? Langlois: The baseball rule of thumb is that even the best teams lose 60 games and even the worst win 60. Historically, the outliers are few and far between. In basketball, what would it be? Even the best lose 15? Even the worst win 15? There have only been six NBA teams in history to win more than 67 games in an 82-game season. There have only been 10 to win less than 15 of 82. If the Pistons stay healthy – because, really, a worst-case scenario starts with a string of devastating injuries – then I’d put the best/worst at 55 and 35 wins. I’ve seen the Las Vegas projections for the Pistons at under 40 wins. I’m not a gambler – and I deny any liability if you act on this advice – but I’d jump on the over.